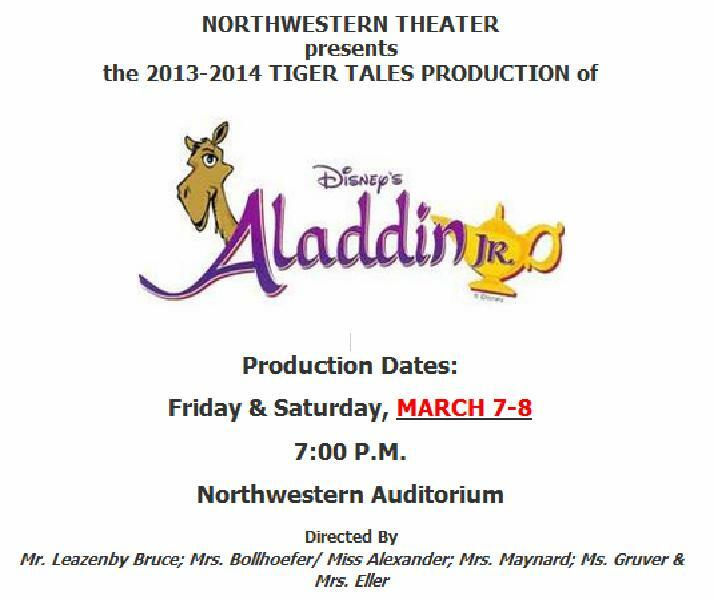 The elementary theater production of “Aladdin Jr.” will take the stage March 7-8, 2014 at 7:00 pm in the Northwestern Auditorium. Come see 100+ kindergarten through 6th grade students bring this Disney favorite alive in our auditorium! Tickets are $5. For more information, visit our Tiger Tales website. See you there!! This entry was posted in Maynards on March 5, 2014 by Rusty Maynard.